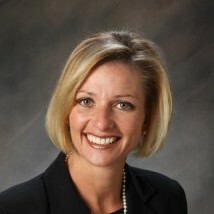 Michelle Steagall is an educational leader and instructional expert. Michelle currently serves as the chief academic officer for the California Office to Reform Education (CORE), where she works with eight California school districts that represent more than one million students. Her work is centered on school and district reform as well as accountability policy. In her 24 years of public school district experience in Oregon and California, Michelle has held a variety of instructional and leadership roles. Most recently, Michelle served for as a superintendent in two school districts in the heart of California’s diverse San Joaquin Valley. Additional roles include nine years as an elementary principal, assistant principal in intermediate and elementary schools, as well as a classroom teacher in elementary and middle school grades. She teaches curriculum and instruction courses in administrative credential and Master’s degree programs and is a licensed curriculum management auditor, having served as an auditor on many teams in five states (Texas, Alaska, Indiana, California, Georgia). Throughout her career, Michelle has been selected to serve on various statewide committees with the California School Boards and the Small School Districts Associations.